Cloudy and windy with rain ending for the afternoon. Thunder possible. High around 55F. Winds NNW at 20 to 30 mph. Chance of rain 80%..
A few clouds. Low 39F. Winds N at 15 to 25 mph. Higher wind gusts possible. GRAND ISLAND, Neb. – The Nebraska State Fair named the 2019 concert lineup and revealed a new ticket option for fair concerts. Artists will be “bundled” by genre under one ticket price which includes gate admission, allowing concert-goers to save. General admission bundles are $79 and include gate admission ($12 value). That means each concert ticket is just $26, offering fans a 60 percent savings compared to past concert prices. A limited number of single tickets will be sold later this spring for $48 each and will also include gate admission. All seats are first come, first served. Pit pass bundles are available for $129 and include gate admission. These tickets offer fans a standing-room-only experience at the front of the stage. Single ticket pit passes are not available for purchase. For all bundles, fans will receive three tickets for the concerts and three separate tickets for gate admission. Bundles go on sale Friday, Jan. 25 at 10 a.m. at the new State Fair box office, located on the first floor of the Nebraska Building on the fairgrounds. Hours of operation will be 8:30 a.m. to 4:30 p.m. Monday-Friday. Tickets for all shows can also be purchased at etix.com and statefair.org. All concerts will be held indoors at the Heartland Event Center on the fairgrounds. Concerts will start at 8 p.m. 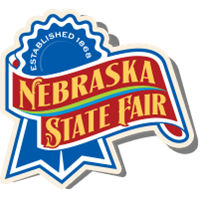 The 2019 Nebraska State Fair is Aug. 23 through Sept. 2 at Fonner Park in Grand Island. For more information visit statefair.org.